Hurry up and get to Stewart's Rootbeer in Rosedale! By the time you're done reading this post Stewart's could be closed for the season and you'll be left wanting until March. Don't be a fool like me. Get there, and get there fast. I can't tell you how many times I've driven past this place saying "we need to visit there" only to to speed by again and again. Today, with only 5 days left before they are closed for the season, I decided I'd better put my money where my mouth is and made my way in for a Rootbeer Float. 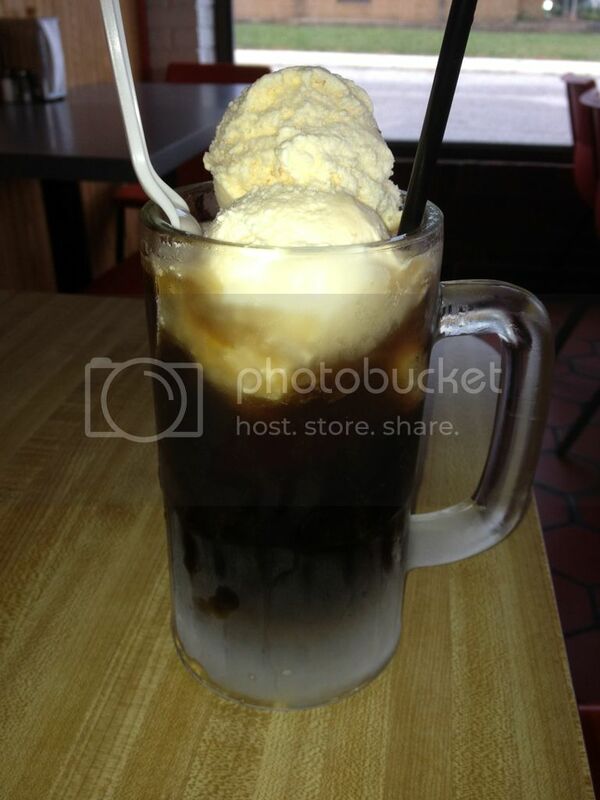 Served in a frosted mug you get Rootbeer from the tap and two or three scoops of vanilla ice cream. It was so good. The Rootbeer tasted great and I don't know anyone who doesn't love what I call the Rootbeer slush that develops on the ice cream. But as good as the float tastes the best part of the visit for me was the memories it opened up for me. Suddenly, I was 7 years old and in my Grandparents house. Anytime I slept over as a kid I always had some sort of float in this gigantic green plastic cup and it felt really nice to sit there eating this delicious dessert while telling Deana about the fun times I had at my Grandparents. In addition to the floats there is a full menu of burgers, dogs, chili, soups, and other desserts that I'll be sure to go back for next spring. However, if you read this before September 9th, do yourself a favor and visit for a great float and maybe bring back some memories from long ago.